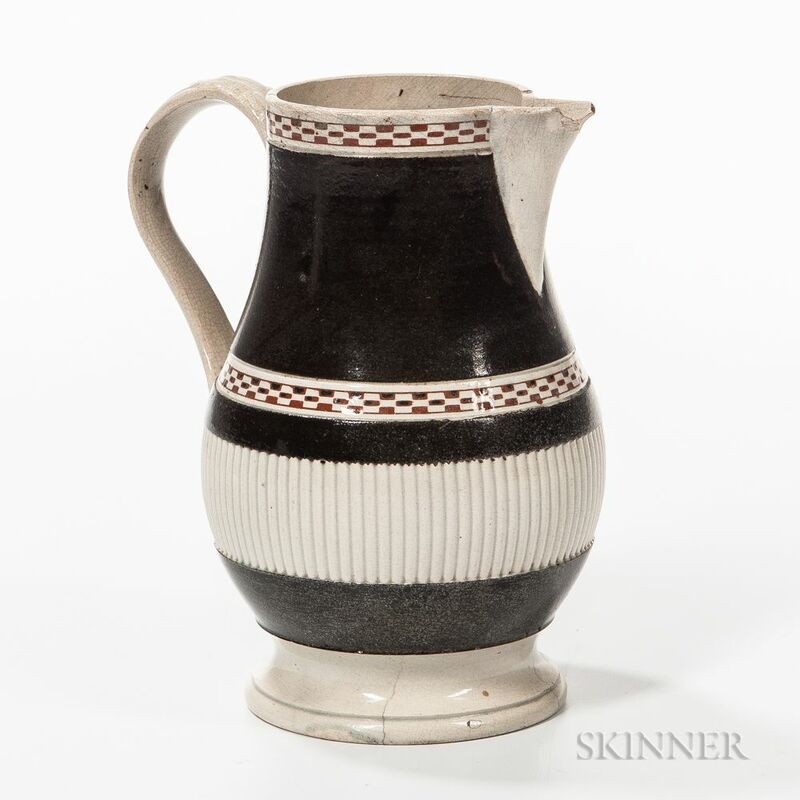 Pearlware Slip-banded Milk Jug, England, c. 1790, banded with black slip and decorated with bands of tan slip-filled checkered rouletting and vertical engine-turned ribs, extruded handle with foliate terminal at bottom, ht. 5 3/4 in. 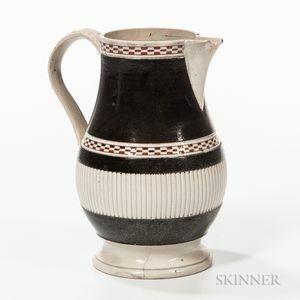 Chipped spout, bottom with hairline cracks.